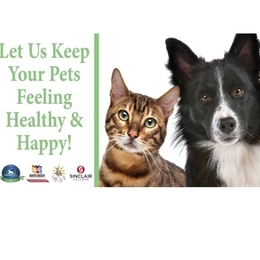 Sinclair Veterinary Technology students, along with SICSA, the Humane Society of Greater Dayton, and the Montgomery County Animal Resource Center will join together Wednesday, June 14 at the Dayton VA Medical Center from 9:00 a.m. to 12 Noon to provide preventive care for pets. Check-ups, including vaccinations, are only $15. Visit the Event's Facebook page for more information. The Dayton VA Medical Center is located at 4100 W. Third St. Bldg. 305.